The real strength of Habibi Halaqas lies in the dedicated group of sisters who are working hard behind the scenes, for the sake of Allah SWT and for the sake of spreading His deen. Amongst this wonderful group of sisters are our writers, who are an utmost privilege to work with, alhumdulillah rabbil 'alameen. Their writing has caused so many of our readers to leave heartfelt comments such as the one below. We cannot thank them enough for benefiting fellow Muslims through us and as a token of appreciation, present the following awards. Congratulations to each and everyone of you! May Allah SWT allow you to benefit many more through your words and place barakah in your writing, ameen! Author who was successful in proving her potential and talent for writing with her very frist article. A True writer in making. April - Shazia Arif for her article “Salaf In Ramadan”. May - Sabina Giado for her article “Making A Difference To The Revert’s Ramadan” (Will be published in our magazine). Author whose article had the right balance of everything. Research, quotes, references, punctuation and language. Excellence personified! January - Sabeen Mansoori for her article “Excuses”. February - Amatullah Aminah for her article “Aqeedah Al Wasittiyah”. March - Abeer Sadary for her article “What Happens After Death”. April - An Ghela for her article “Maximizing Ibadah During Periods”. May - Abeer Sadary for her article “Importance Of Shabaan”. June - Sabeen Mansoori for her article “How To Stay Consistent With Dhikr And Duas After Ramadan”. Author who connects with the audience and who has the ability to strike a cord. Makes you think and reflect through her work. February - Muazza Essop for her article “Eliminating Doubts From Our Life”. March - Nasmira Firdous for her article “Khushoo In Salaah”. April - Binta Diop Sall for her article “30 Reasons For Being Grateful To Allah Swt”. May - Awaz Sharief for her article “10 Tips For Performing Qiyaam Ul Layl On A Daily Basis With Ease” (Will be published in our magazine). June – Abeer Sadary for her article “10 Ways To Make Life Simple And Easy Again”. Author who made a difference and added diversity to our article base – the one who was brave enough to venture out and address a topic that needs attention. January - Umm Yacoubi for her article – “Connection To The Earth”. February - Amoora A for her article “Budgeting 101”. March - Umm Maryam for her article "Sexual Relationships And Ramadan" (Will be published in our magazine). April - Muaaza Essop for her article "Shamelessness, Certain Manifestations And Remedies Part 1 And 2". May - An Ghela for her article “The Art Of Looking Down". June - Anum ali for her article "How To Maintain A Ramadan Dairy"
Please take a minute to congratulate and show your appreciation to our writers in the comments section! MashaAllah so proud of each and every one of you!! Through Allah's mercy may your writings benefit everyone who reads it..
May this deed take you all to jannatul firdous. This post is so special and I'm so proud right now! MashaAllah Tabaarakallah! Gr8 work ladies!!! <3 jazak Allah khair farheen!! Macha; Allah to all of you May Allah Reward you for your work!!! 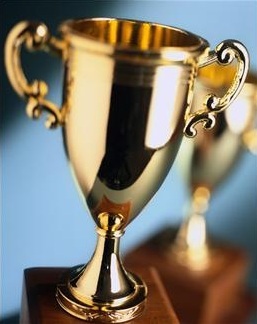 Please allow me to give a special award to a writer which has attracted a huge amount of sisters with her skill : Alawiya Abdallah ( A midnight Prayer) Some of us have been caught in the sight of Habibi Halaqas because of her story and even found out about this site because of a link to a muslim story which is very hard to find. Baraka'Allahou fiik to all writers of this website, May Allah reward you all!!! Masha Allah, congrats to all of you. May Allah accept our intentions and bring only good from our writing. Ameen! Alf Mabruk to the HabibiHalakas' wrires. Maasha Allaah wa barakah Allaahu FeeKunna. I totally agree with u, her Midnight Prayer is amazing masha Allah. Wsalam Sister Zora, I very much agree with your comment here, myself also have come to know about Habibi Halaqas through her stroies A Midnight Prayer, a proud mother of 2 children and her unique approach to Muslim stories. She deserve a special award of the year.